We explain to the child what is going to happen and do our best to provide a fun interesting experience. 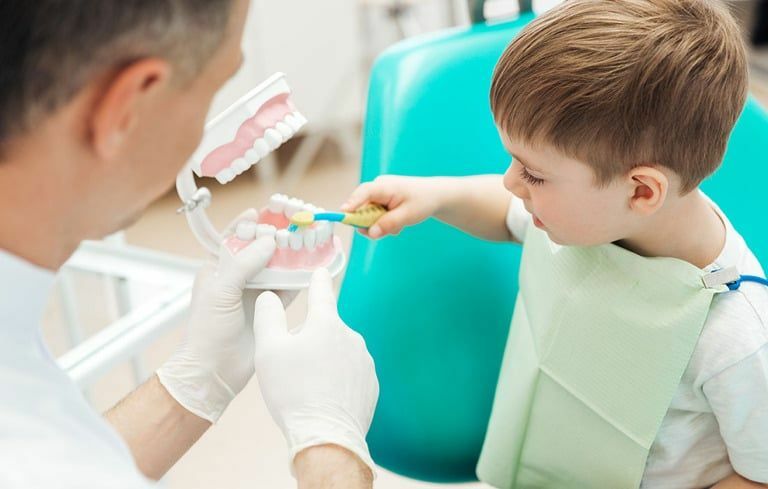 We carefully examine the development of their mouth including: crowding, appearance of calcium deposits, abnormality in the number of teeth, baby bottle tooth decay, gum disease, TMJ, and signs of prolonged problems such as thumb-sucking and teething. We take x-rays when needed; we clean and polish teeth and apply fluoride when needed. We explain how a healthy diet relates to healthy teeth and we demonstrate the correct way to brush the teeth. Our office provides smile makeovers to achieve the beautiful, natural look you seek. We can reshape your natural teeth to make them straighter or more youthful in appeal. Our Fair Oaks office make it convenient to those living in Sacramento to receive great cosmetic dentistry and is only a short drive away!